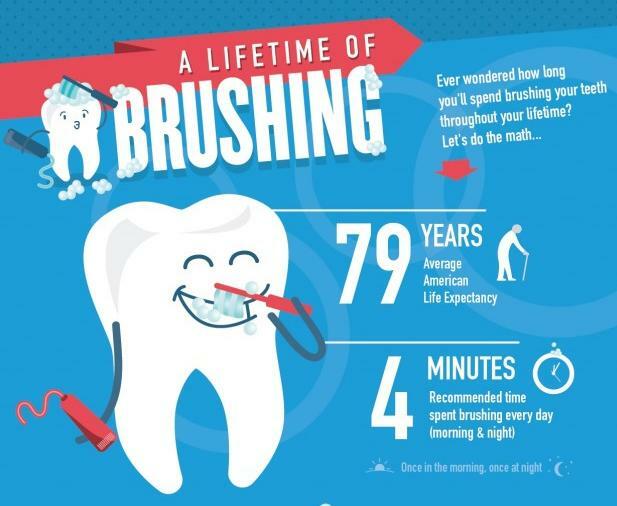 We spent at least three to four minutes on average a day on brushing but do you know that how much in actual will be the lifetime of brushing. Well the count looks simple but in real it is huge. Say, for example, an average life expectancy of an American is 79 years and in that an average 4 minutes of s/he spent on brushing every day which makes to a total of 79 days in a lifetime. Like the fact, right? Well like this, there are other facts which being shared in an infographic developed by Jeffersondentalclinics.com. Explore now. Previous story How Good Is Your Attention Span? Advertising – Do You Buy It?